WAILUKU — Jacob Chong is the No. 9 hitter in the Baldwin High School baseball team lineup, but he may be one of the best examples of just how tough these Bears are. 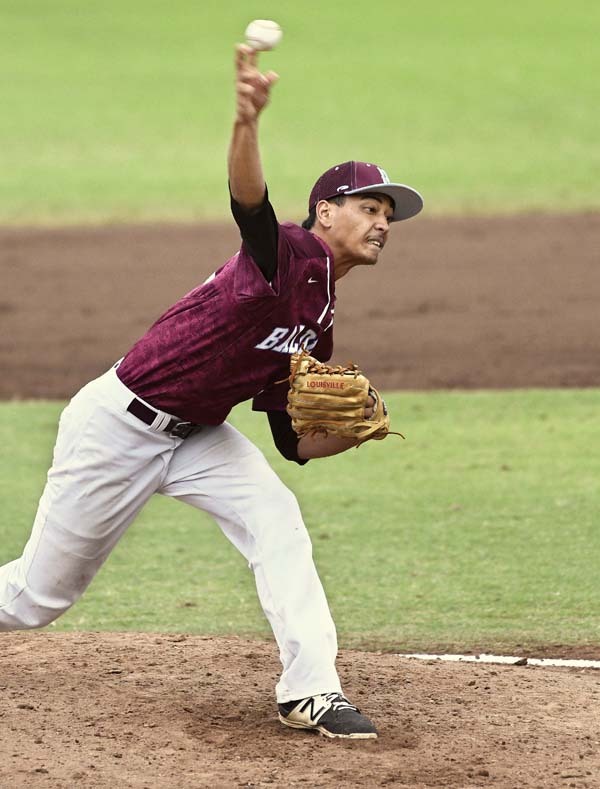 On Saturday under cloudy skies at Maehara Stadium, Chong drove in three runs in a 5-1 win over Kamehameha Maui that clinched the ninth Maui Interscholastic League Division I pennant in a row for Baldwin. The Bears (13-1) — ranked No. 1 in the state by scoringlive.com, No. 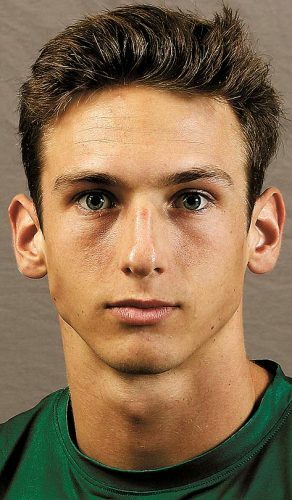 2 by the Honolulu Star-Advertiser and No. 24 in the country by USA Today — outscored MIL opponents 105-11. They are a possible No. 1 seed when the Wally Yonamine Foundation state tournament brackets are revealed. 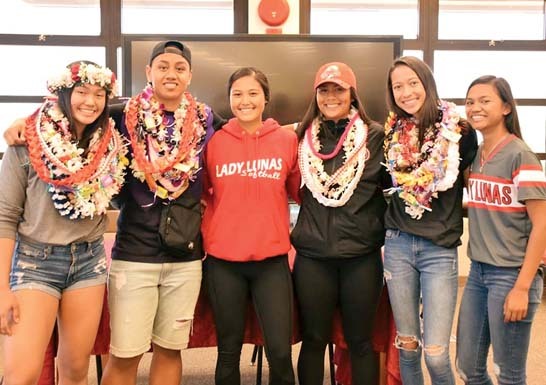 Chong’s senior classmate Bubba Hoopii-Tuionetoa, one of the top draft prospect in the state, was stellar on the mound, tossing a four-hitter with six strikeouts and no walks. The Bears broke on top with a run in the bottom of the first when Chayce Akaka led off with a double to left field, took third on a wild pitch and scored on Cade Kalehuawehe’s sacrifice fly to center field. They pushed the lead to 3-0 in the second on Chong’s two-out, two-run single — Kaipo Haole and Hoopii-Tuionetoa singled with one out to start the rally. Kamehameha Maui got on the scoreboard in the fourth when Nate Facuri scored on a wild pitch with the bases loaded. Hoopii-Tuionetoa stranded runners at second and third by striking out Rio Moleta. 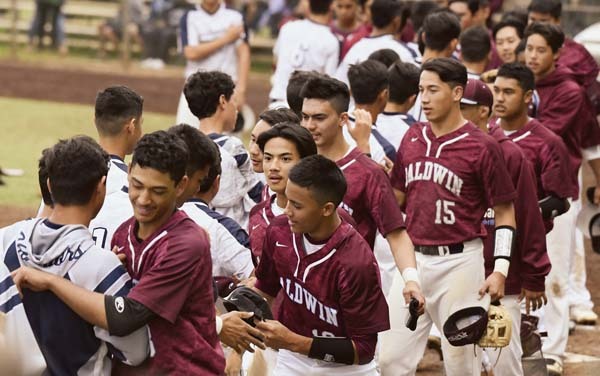 Baldwin upped the lead back to three runs in the fourth when Chong laid down a squeeze bunt that allowed Isaiah Kusunoki, courtesy running for Hoopii-Tuionetoa, to score. Dudoit said it was Chong’s call to lay down the bunt with a runner on third and one out. Haku Dudoit walked to lead off the Bears’ fifth and scored all the way from first on a rundown play after a single to center by Kalehuawehe. Meanwhile the Baldwin defense was stellar — catcher Kalehuawehe picked Jarin Correa off of first base after he singled to lead off the second inning, and Chong started a 4-6-3 double play with two on and no outs in the fifth. Otherwise, Hoopii-Tuionetoa was tough to handle. 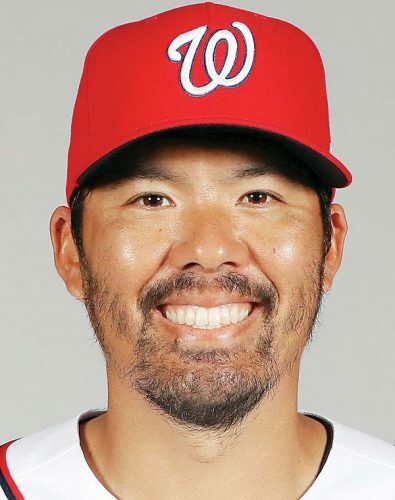 He faced just 10 batters through three innings and retired the last nine batters he faced. Eight Bears recorded at least one hit in the nine-hit attack. Hoopii-Tuionetoa led the hit parade with a 2-for-3 day. He also stole two bases before giving way to courtesy runners at second base. Kamehameha Maui clinched its first state berth since 2011 with a 4-3 win over Maui High on Friday. The Warriors were the only MIL team to beat the Bears this season. Micah Kele, Cyrus Robson (6) and Ross Panlasigui; Bubba Hoopii-Tuionetoa and Cade Kalehuawehe. W–Hoopii-Tuionetoa. L–Kele. 2B–Baldwin: Chayce Akaka. 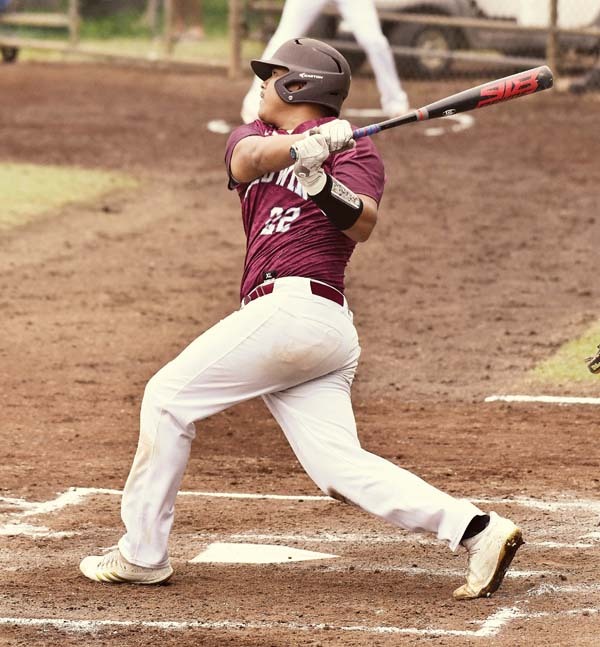 Leading hitters–Kamehameha Maui: Jarin Correa 2-3. Baldwin: Hoopii-Tuionetoa 2-3, 2 runs.